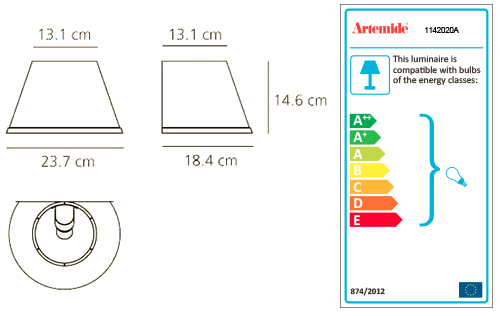 ARTEMIDE CHOOSE WALL IP 23 is a lamp. The design of the transparent antistatic polycarbonate diffuser is embellished with vertical internal slits, which, as well as giving it greater aesthetic value, also allow a better light diffusion. The diffuser is covered by parchment paper; grey painted metal structure. On/off switch on body lamp. Bulb not included, IP 23 1x46W Halo o 1x6W LED DIM (E14). Dimmerabile.